Home › brisbane › CoderDojo Brisbane – inspiring the next generation! The wonderful mentors at each CoderDojo Brisbane location have truly been inspiring the next generation to learn and explore the wonderful world of programming. Read on to find out what’s been happening. We had another great session at Chermside Library where the kids made great progress on their own individual projects, with the help from our wonderful mentors. Justin demonstrated his very own Space Invaders game made in Scratch which the kids absolutely loved. This Saturday, many of the kids will be continuing to work on creating their own games which is very exciting. Click here to start playing Justin’s Space Invaders Game. Chermside Library has one last session for Term 1 this Saturday. We’re very much looking forward to seeing the fantastic creations the kids have been able to create over the six sessions! The Robotics demonstration at Sunnybank Hills Library was a massive hit with all the kids. Jayden also did another fantastic demonstration of HTML using Dash Assembly. At this Saturday’s session the kids will continue with programming the Robosapians using Scratch, HTML and Python. Saturday’s session at Carindale Library was another success with the mentors covering a wide range of topics including Dash Assembly, a great Python demonstration by our mentor Michael, code.org, Scratch and text adventures such as Zork. Quite a few kids demonstrated their work to the rest of the group and were giving each other helpful advice and encouragement which is always great to see. We have another session at Carindale Library this Saturday where the kids will continue working on their projects with the help of our wonderful mentors. 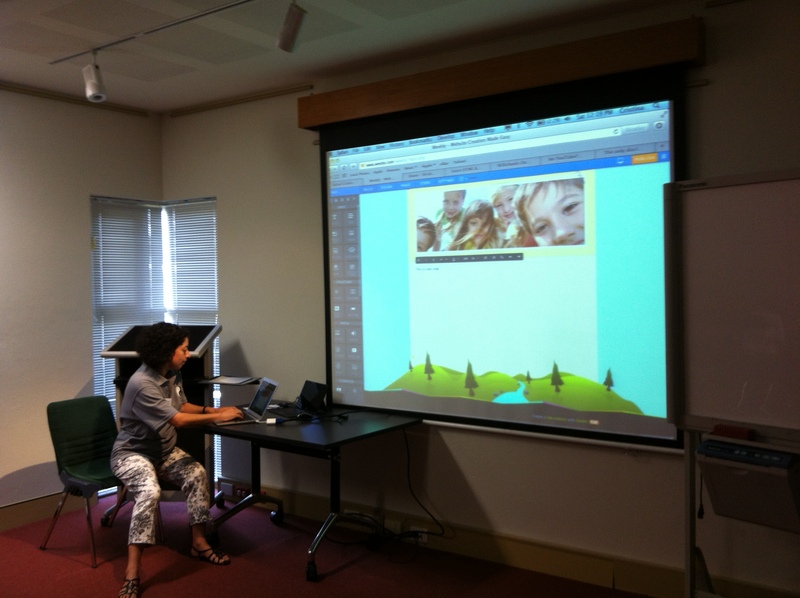 Mentor Cristina introduced the kids to Weebly at Mt Ommaney Library, with many of the kids creating their very first website, which was very exciting to see. Mentor Cristina demonstrating how to create a website using Weebly. Photo provided by our mentor Helen. 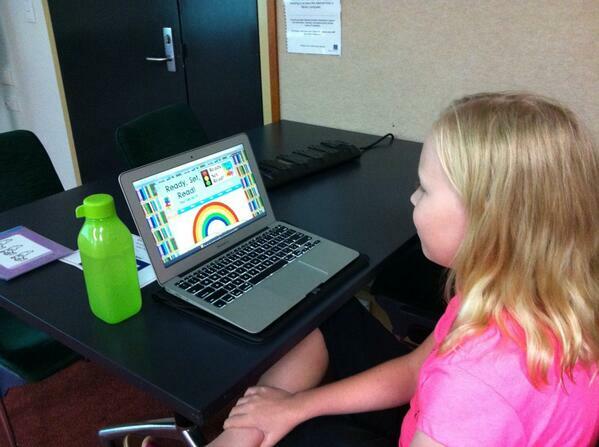 One of our participants with her website she created at CoderDojo Brisbane. Photo provided by our mentor Helen. At this Saturday’s session, our mentor Tania will be introducing Makey Makey to the kids. Makey Makey is a cool hardware kit targeted at kids which lets you make your own game controllers from any household item. This was introduced at Chermside Library and was a massive hit! The kids at Mt Ommaney are sure to enjoy it just as much. Another huge thank you to all our wonderful mentors who come to each session with such high levels of energy and enthusiasm. We definitely couldn’t do it without your ongoing support.